As part of our philosophy on promoting healthy lifestyles, we are now bringing our programs to the younger generation in a fun and fresh way. 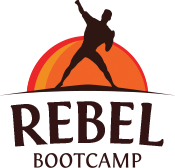 We are a boot camp fitness company with more than 6 years of experience operating in Malaysia & Singapore. As part of our philosophy on promoting healthy lifestyles in Malaysia, we are now bringing our programs to the younger generation in a fun and fresh way. To bring fitness to kids in a fun and non-competitive way that is accessible to kids aged 7-15 no matter what their fitness level. We use exciting equipment like inflatables and boot camp equipment to engage kids. Classes are structured with age and ability appropriate drills with the goal to increase fitness levels. Every class is different! Our programs help children develop strong muscle and bones, improve hand-eye coordination, reduced chance of being overweight, lower risk of diabetes, better awareness about body fat and lower blood pressure. Develop a more positive outlook on life, increased self-efficacy and self esteem, increased concentration and focus when it comes to studying, learning to socialise and understanding the concept of teamwork. Our programs encourage kids to break out of their shells and have fun with other kids as well as the awesome equipment. Also, with no session ever repeating itself it will be something fresh every week. Copyright © 2016 REBEL. All rights reserved.